Location: Pinballers Anonymous, Grove Lane, Chesham, Buckinghamshire, UK. 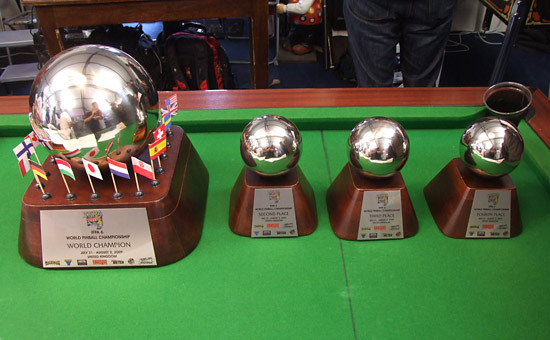 Although this is called IFPA 6, it is only the second IFPA World Championship since the tournament was revived in 2008. 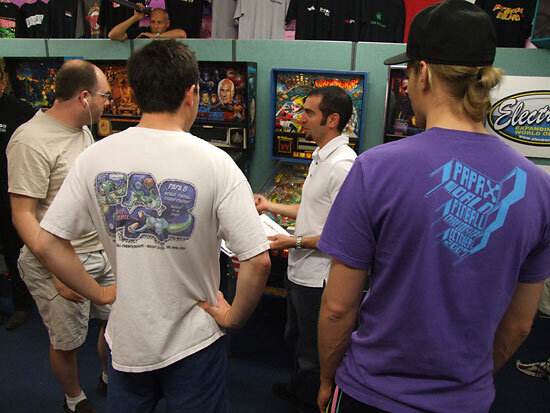 That first event took place at the Pinball Hall Of Fame in Las Vegas but the intention then was to alternate between US and non-US locations. 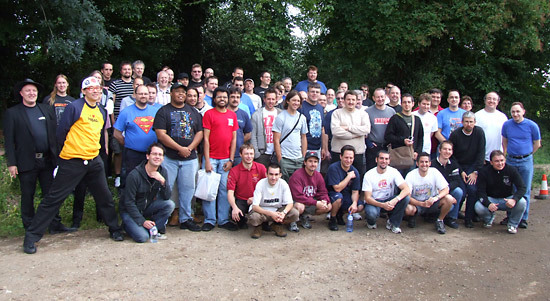 So this year the tournament moved to Europe and to the outskirts of London. 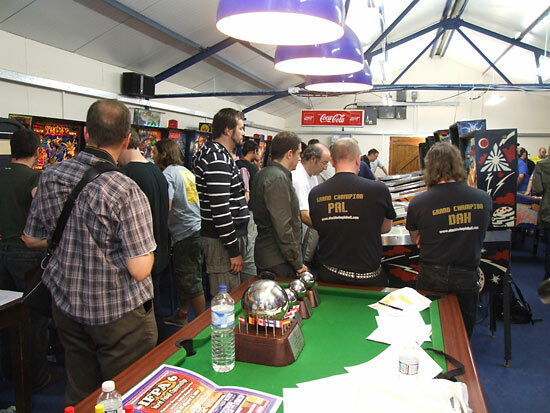 With the European Pinball Championship taking place the previous weekend 50 miles north in Northampton, it gave attendees the opportunity to visit the UK and play in two of the world's biggest tournaments in the space of just 9 days. IFPA6 has 64 participants, pre-selected by their end-of-year WPPR ranking. The top 2 players from each country were offered a place in IFPA6 and they were joined by other highly-ranked players and 4 qualifiers from the top EPC players who were not already taking part. 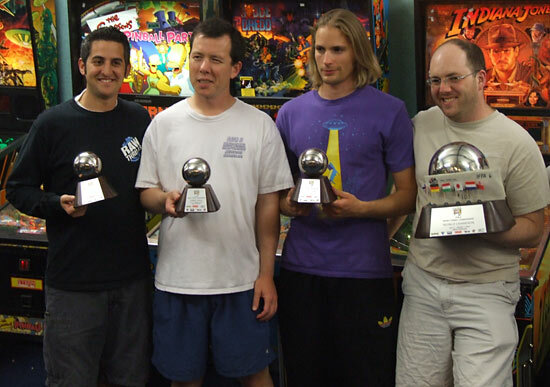 The 64 players came from 15 countries - the USA, Sweden, Switzerland, Germany, Canada, UK, The Netherlands, Hungary, Austria, France, Japan, Belgium, Spain, Poland and Finland - and all paid their $200 entry fee for the chance to win the IFPA World Championship and the top prize of a brand new Stern pinball machine and $1,000 in cash. In all, the prize package was estimated to be worth around $13,000. The tournament began at 10am on Friday 31st July. All 64 competitors were divided into 16 groups of 4 and they began playing the first of 8 rounds of qualifying. 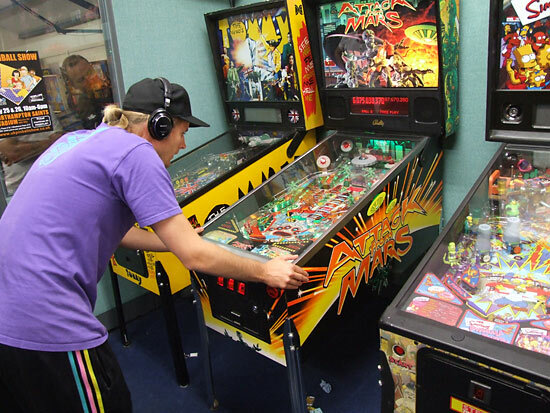 Each round consisted of three four-player games on a mix of machines - one from each of the three divisions; New, Mid and Old. 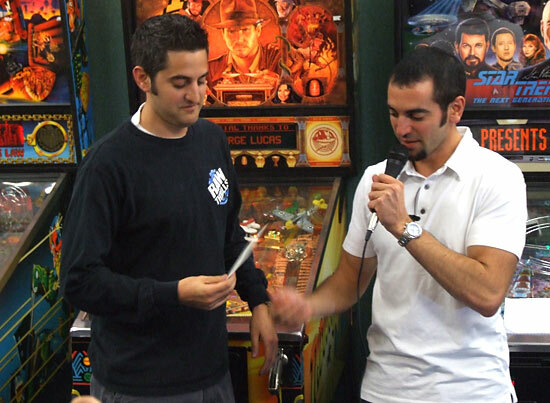 Points were awarded for the position on each game with the winner getting 7 points, second place earning 5, third place scored 3 points and last place collected a single point. Before each round began, the names of the players for each group were called out and they came forward to collect their score sheet. 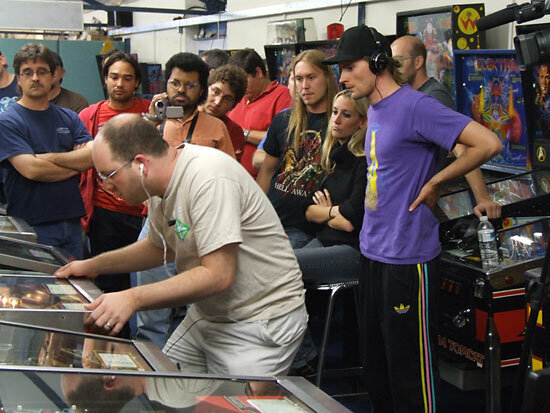 The score sheet detailed the games and play order for each of the three games in the round and recorded the scores achieved on each machine, the points awarded, the total points from the three games and each player's signature to confirm the details. 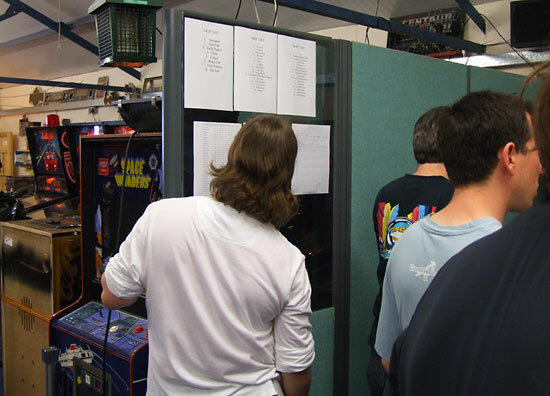 There was a shortage of older machines so the selection was somewhat skewed towards newer games, and the older machines had to be played by two groups in each round. With the games and players announced, the tournament could begin. At the the end of each game, the scores and points were recorded on the sheets and play moved on to the next machine. 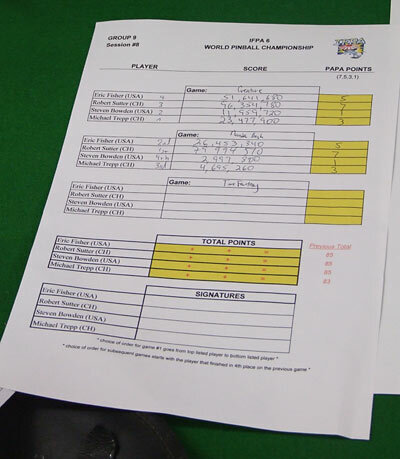 When all three games had been played, the score sheet was signed and returned to the tournament desk for entry into the computer. 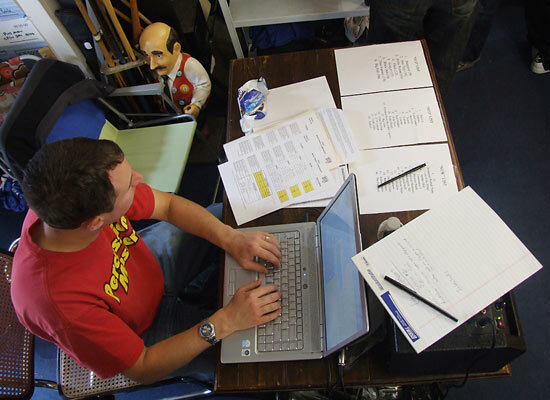 When all games in the round had finished, the results were printed and posted on an adjacent wall and placed on the central pool table for players to see how they fared. Two rounds were played in each session and there was one session before lunch on Friday, one after lunch and one in the evening. Meal breaks of around an hour were taken between sessions and players could either bring their own food, head out to one of the local pubs or buy food at the tournament venue. 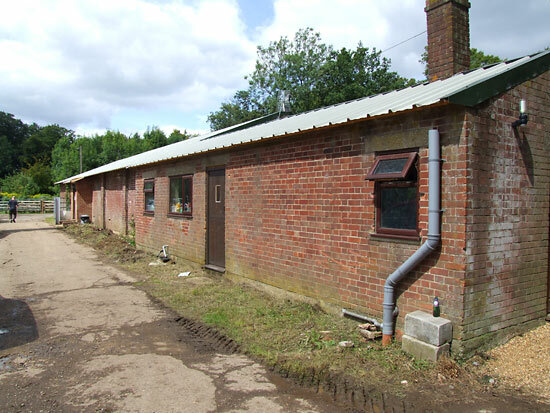 Each meal time, a barbecue was set up to grill burgers and sausages, while chocolate bars, bacon rolls, crisps, muffins, tea, coffee and assorted cold drinks were available from the kitchen area. 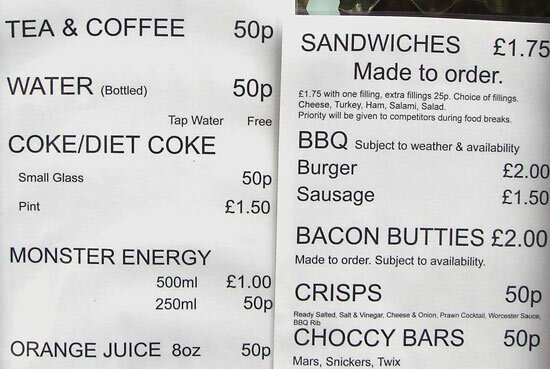 Despite the relatively captive audience, prices were reasonable as you can see below. Six of the eight qualifying rounds took place on Friday and the remaining two were played on Saturday morning, so by lunchtime on Saturday, the 64 players had all completed their qualifying rounds. The top 32 players from the qualifying rounds proceeded to the playoffs. For the bottom 32, their participation in IFPA6 had ended. The 32 qualifiers then faced a series of single elimination matches. Players were split into two groups and played in pairs. Those players in the top 16 qualifiers received one bye through the first play-off round, those in the top 8 got an additional bye. In the first round of play-offs there were wins for Stefan Karlhuber, Patrik Bodin, Zach Sharpe, Mats Runsten, Brian Bannon, Eden Stamm, Eric Fisher and Sean Grant. Those who lost and went out were Olli-Mikko Ojamies, Marcus Hugosson, Ernö Rotter, Roland Schwarz, Nick Marshall, Serge Darbellay, Stefan Cederlof and Per Ahlenius. In round two, the victors from round one were joined by qualifiers in positions 9-16. They were Martin Weist, Krisztián Szalai, Franck Bona, Peter Scheldt, Taco Wouters, Michael Lindstrom, Brenn Oosterbaan and Robert Sutter. The second round brought victories for Stefan Karlhuber, Patrik Bodin, Franck Bona, Mats Runsten, Brian Bannon, Michael Lindstrom, Brenn Oosterbaan and Sean Grant. Those 8 were then joined by the top 8 qualifiers in the next round. With all the top players now involved in the play-offs, there was some highly competitive play with some great scores. 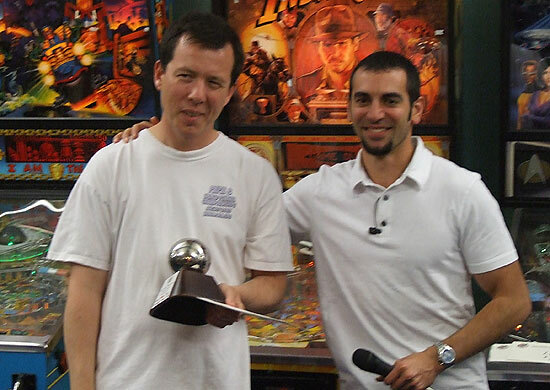 Of the 8 new players, only Neil Shatz failed to win his game against Patrik Bodin, making the last eight players; Patrik, Bowen Kerins, Andrei Massenkoff, Trent Augenstein, Jim Belsito, Jorian Engelbrektsson, Josh Sharpe and Cayle George. In the quarter-finals, Bowen played Patrik and won, Andrei won against Trent, Jorian beat Jim and Josh won against Cayle. With the final four now decided, the two semi-finals were Bowen against Andrei and Jorian against Josh. Jorian triumphed fairly quickly to secure his place in the final. At the time of writing, Bowen and Andrei are still playing their semi-final which has gone into the last sudden death best-of-three game after a 3-3 draw in their regular games and winning one sudden death game each. With two quick multiballs, Bowen ends his second ball on 7 million points, a score Andrei cannot beat with his final ball so it's Jorian and Bowen in the final. Bowen wins the first of the six games in the final on The Shadow, despite having a ball hang-up during multiball. It's a second win for Bowen on Dolly Parton and he's up to about 4 million on Pharaoh on his second ball, so game three looks like it's going his way too. In fact, Bowen clocks Pharaoh, plays three of his extra balls (as the pair agreed to play extra balls), but doesn't play an additional three extra balls he earns along the way. If Jorian is to save this game he's going to have to play his final ball for about an hour solid. He doesn't, so it's 3-0 to Bowen as they go into game 4. Attack from Mars gives Jorian a way back as he racks up 8 billion on his second ball, getting both the 1 billion hurry-up award and getting a ball trapped behind the target bank for Total Anhilation. So it's on to game 5 with Bowen 3-1 up as the play moves on to Black Out. This time, neither player races ahead but at the end it is Bowen who wins the game and with it, the IFPA6 World Championship. Congratulations to him and to Jorian. Meanwhile Josh Sharpe and Andrei Massenkoff have played out their tie-breaker for 3rd and 4th place with Andrei triumphing to get 3rd place. The awards ceremony has just taken place with Zach Sharpe presenting the prizes. 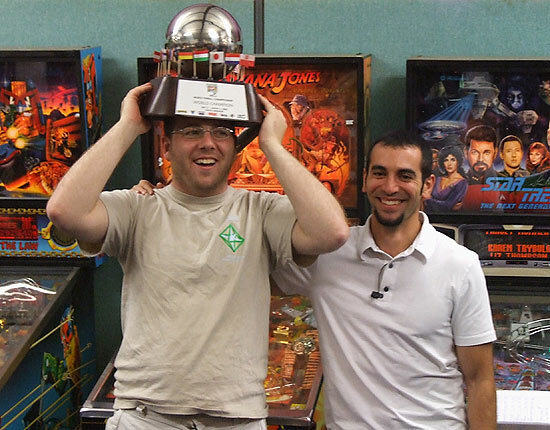 Bowen Kerins wins $1,000 for first place, a brand new Stern pinball machine, the IFPA World Champion trophy and an extra $100 for being the top qualifier. In second place was Jorian Engelbrektsson who wins $2,500 and a trophy. 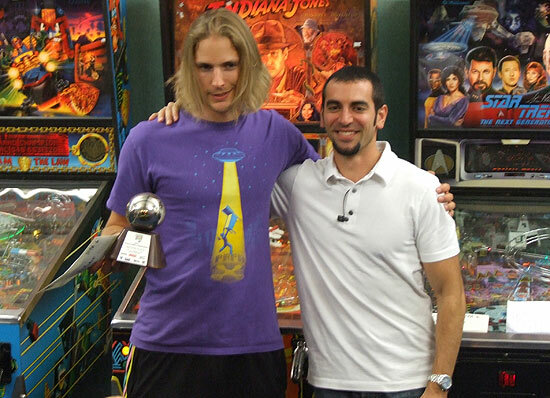 Third place went to Andrei Massenkoff and he picks up $1,250 along with his trophy. While in fourth place was Josh Sharpe who collected a cheque for $750 and a trophy from his brother. 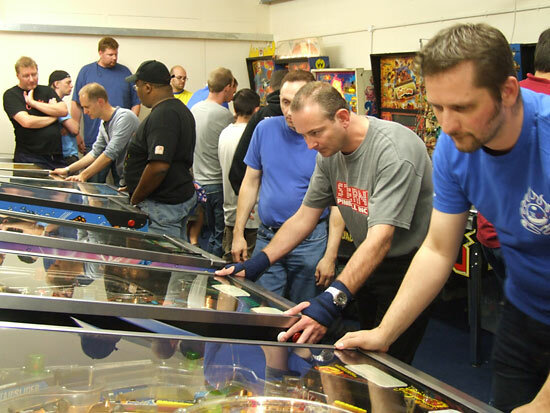 We'll be back with the full results listing soon, but for now - with the tournament over and all the machines set to free play - it's time to play some pinball just for fun.